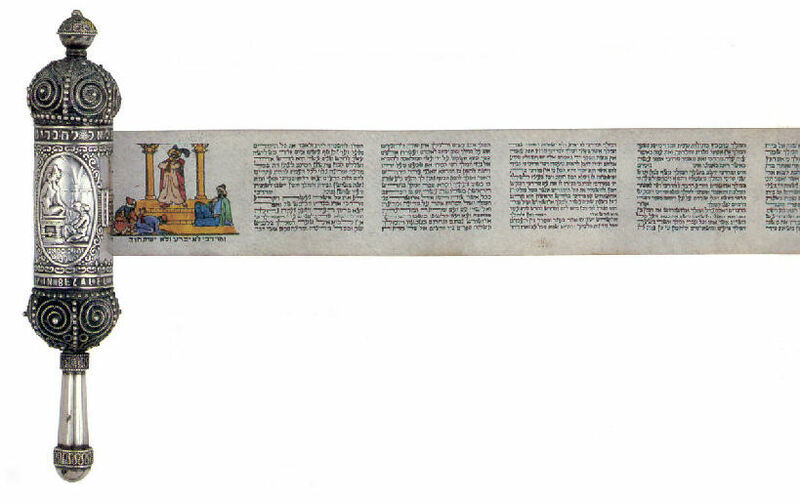 Esther Scroll (Megillah). Bezalel School, Jerusalem. 1927. Maker: Ze’ev Raban (1890-1970). Case: applied and cast silver. Scroll: watercolor and ink on parchment. Purim is a Jewish holiday that commemorates the deliverance of the Jewish people of the ancient Persian Empire from Haman's plot to annihilate them, as recorded in the Biblical Book of Esther (Megillat Esther.) According to the story, Haman casts lots to determine the day upon which to exterminate the Jews.